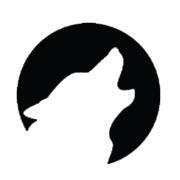 Introducing a project by the one and only, Rachael Burks, the Female Wolfpack is launching 1/1/13. I’ve been helping her on this project and couldn’t be more excited. Basically, it’s a website that is meant to do one thing and one thing only. Showcase chicks out there getting radical. Skiing, snowboarding, mountain biking, climbing, BASE jumping, kayakaing, surfing, skateboarding…. ANYTHING. It’s a media platform to get footage out there and main stream of girls essentially killing it. It’s for professional athletes and up and coming shredders alike. Check out the teaser below. You may recognize a certain skier/BASE jumper making a few appearances. And check out this article on Freeskier.com about it. What happened to the One Man Wolf Pack? Hahaha YES! He can join our wolfpack 🙂 You can too. I would have punched him in the face, too!! Great concept – I can’t wait to see what comes out of it! !